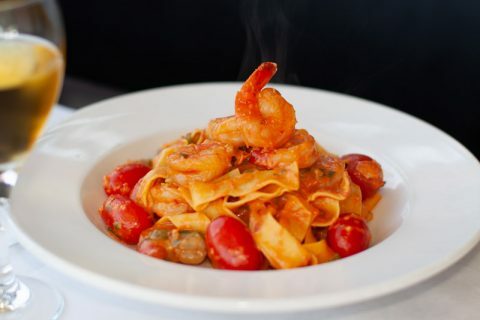 For September, our executive chef brings to your plate, perfectly cooked pappardelle in a creamy home made spicy sauce complimented with shrimps, capers, cherry tomatoes and a touch of fresh basil. This combination of flavours will surely satisfy your taste buds. Gluten free version also available. 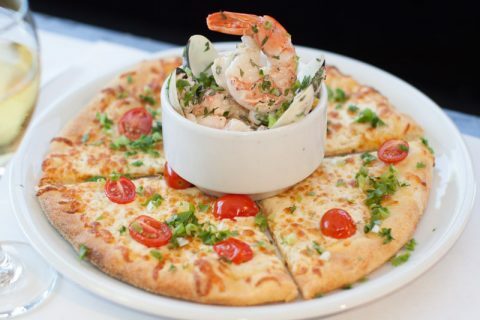 It’s August and Ottavio suggests you try the delicacy that is a pizza with mozzarella, cherry tomatoes, shallots and olive oil served with seafood toppings served ….on the side. An abundance of shrimps, scallops, clams and lobster meat mixed in our homemade mayonnaise, vegetable brunoise and mint that will definitely make your taste buds dance.